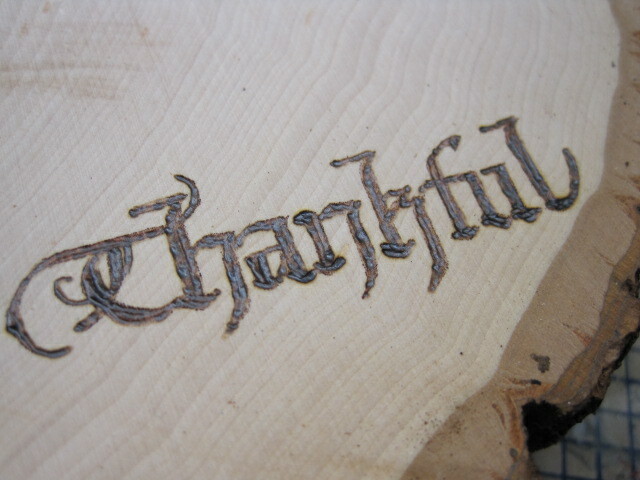 I’m THANKFUL that we are doing a Blog Hop this week with Quietfire Design. Suzanne Cannon, founder and owner of Quietfire Design, and I have been friends for a few years now and we enjoy working together. It’s wonderful to have a Blog Hop with Quietfire Design using our products together and sharing ideas for the upcoming holiday season. Since Thanksgiving comes a little earlier in Canada than in the United States, we wanted to share ideas now for Thanksgiving. 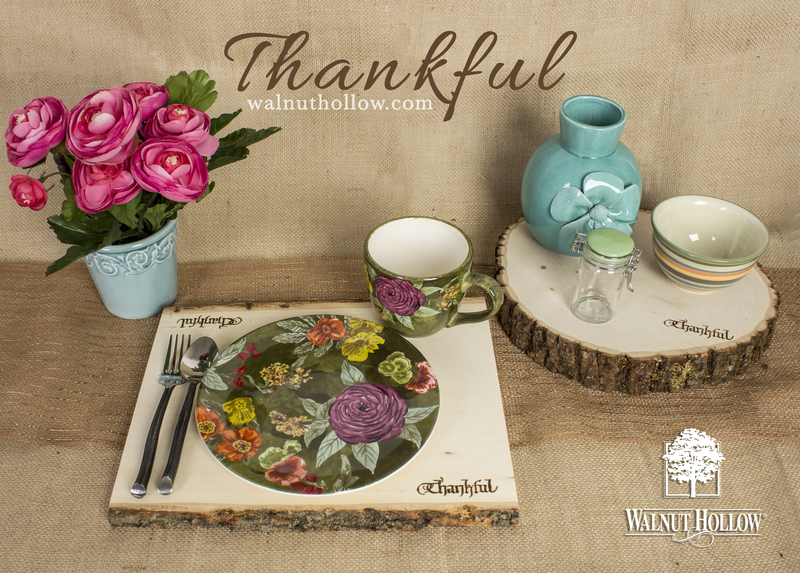 Using Walnut Hollow Basswood Country Rounds® and Basswood Country Planks® for your table, you can create a warm, inviting, natural atmosphere. I love the calligraphy that Suzanne creates and making stamps for all of us to use gives us a chance to enjoy her creations over and over again. 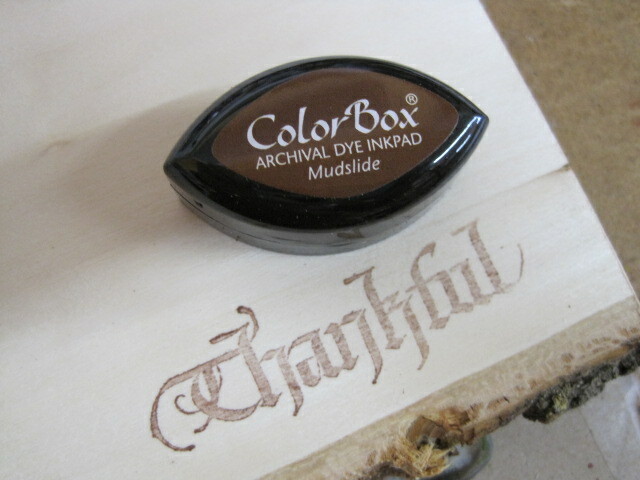 Using Quietfire Design Being Thankful Stamp Set, I decided to be bold and wood burn the stamped word “Thankful”. When I say ‘bold’, it’s because I was hoping I could wood burn Suzanne’s lettering well enough to maintain the beauty of each letter! 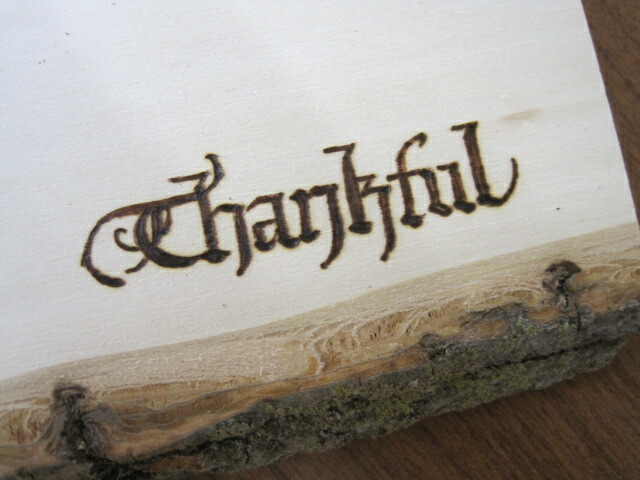 I used the Walnut Hollow Creative Versa-Tool® to wood burn the word using a Mini Flow Point (sold separately). I used the Mini Flow Point because it feels like you are writing with a ball point pen and it is an easy way to begin wood burning if you have never tried it. 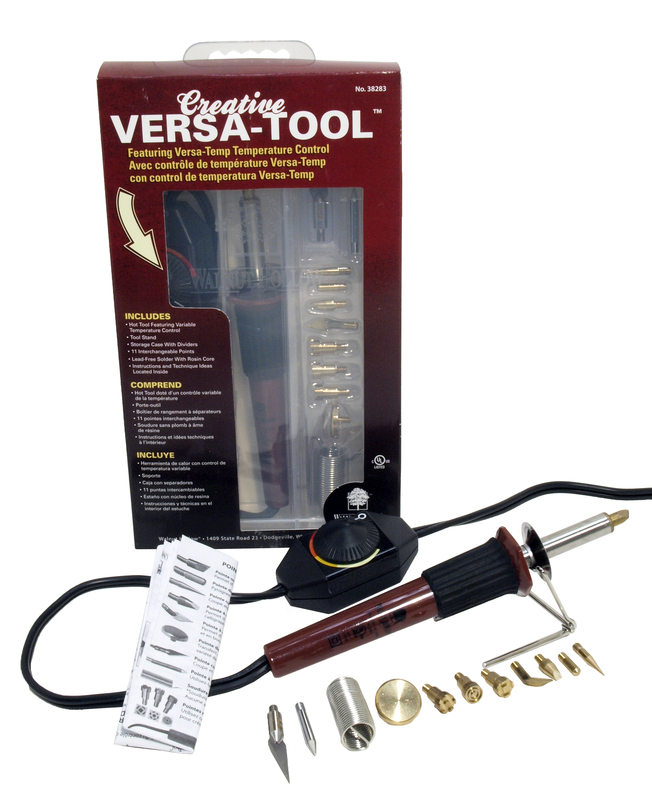 You could also use the Creative Woodburner® Value Pen. All Walnut Hollow wood burning tools and points are interchangeable. 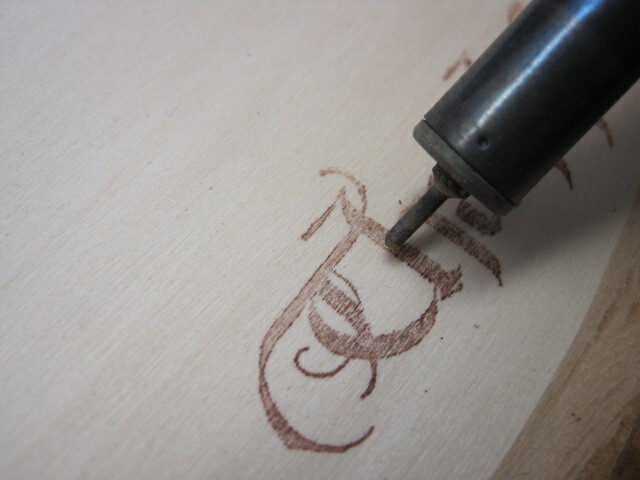 Stamp the wood piece using a light ink color. I wanted to make sure that I saw all the little parts of each letter well, so I chose to use ColorBox® Clearsnap® Mudslide. I didn’t want it to be too dark so I stamped first on paper, then stamped on the wood. 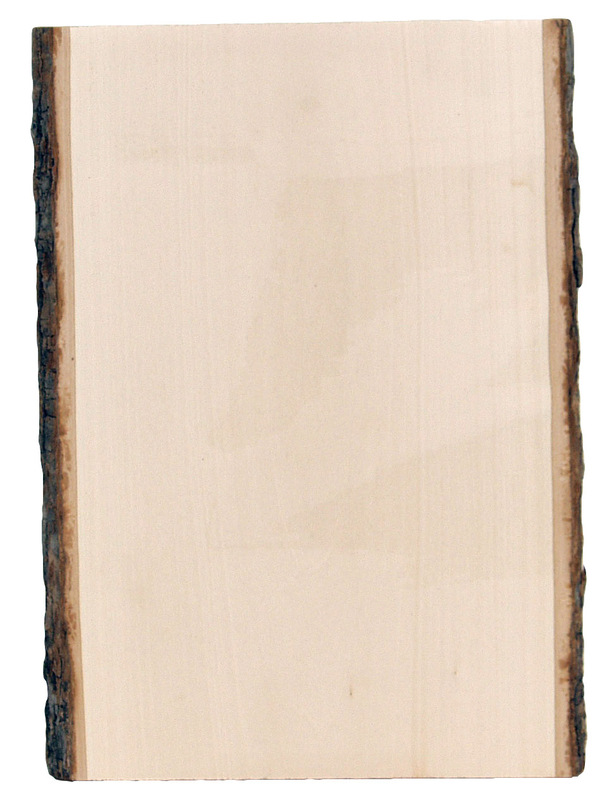 For the Basswood Country Planks® that are being used for plate chargers, I stamped on both bark-edged side. 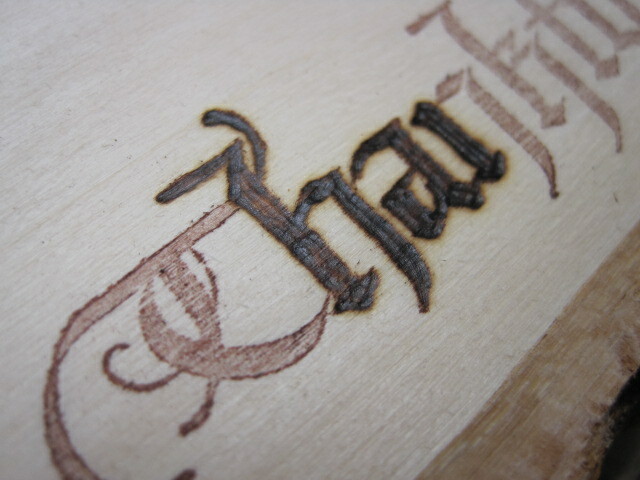 I began the wood burning on the letter “h” – no real reason, but I think I was scared to start with the fancy “T”! After I burned a few letters, I went back to the “T” once I was confident in what I was doing. Here’s a close up of the finished wood burning for the plate chargers. 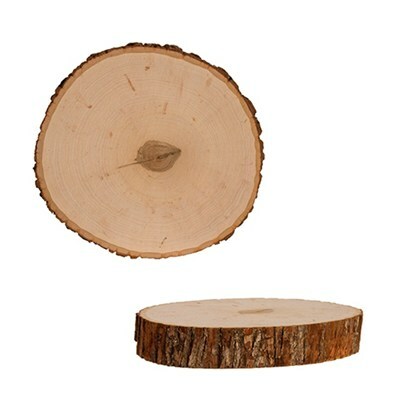 I used the same process to wood burning on the Basswood Country Round® that will be used as a trivet. This particular Country Round style is Thick. The wood is safe for serving – it is never treated with anything during our process of cutting and drying to prevent warping and cracks. You can use bowls and plates on the wood piece, however, if you decide to place food directly on it without a plate, it’s best to wipe the surface first with mineral oil. I also use a doily, simply to protect the surface from any of the food staining the wood. OK – now you know how to wood burn using the beautiful Quitefire Design stamps. It’s time to start creating your Thanksgiving (or anytime!) plate chargers. Go on……..you can do it!